Every businessperson with a vision of where they are going, and specific strategies and goals to get there, will face obstacles or barriers that hinder them from achieving success. Frequently, when confronted with solving problems or making improvements, business owners or managers feel overwhelmed. They lack the time, money, or resources to correct the problems they are experiencing. They often feel like their hands are tied, and they don't know where to begin. You can start by confronting the brutal facts about your business operations—the problems that are staring you in the face. For example: from customer or employee complaints, discouraging financial or performance reports, or just plain gut-level frustration, you have a general idea of your weaknesses and challenges. As discussed earlier, these symptoms are the result of unhealthy and under-performing business systems and processes. In 1984, Dr. Eliyahu M. Goldratt, in his book The Goal, introduced the Theory of Constraints (TOC), a management philosophy based upon the application of logic and scientific principles, to help organizations achieve their goals. The principles of TOC will provide you the shortest distance between two points—where you currently are, and where you want to go. The Theory of Constraints is based upon the assertion that: “Every real system, such as a business, must have within it at least one constraint (limiting factor). If this were not the case then the system could produce unlimited amounts of whatever it was striving for, profit in the case of a business. . ." (Dr. Eli Goldratt). In other words, every business operation has something inhibiting it from reaching its full potential. Some condition exists that limits sales or production output. This limit or constraint determines the maximum capacity of the system. By removing or improving the single constraint, the system is elevated to a higher level of performance. Below are six types of constraints that can hold back an organization. The solution to your problems can be found in any or all of them; some may overlap. A Logical Constraint - Faulty thinking or assumptions can block success (e.g., believing people are the problem when ineffective systems—hiring, training, and so forth—are the real problem). A Process Constraint – The output of work processes is reduced by a weak-link or bottleneck in the process (e.g., work piled up in an in-basket; inventory waiting to be processed). A Physical Constraint – Physical components of a process often have limitations (e.g., capacity of a machine; available space or time; capability of a person; physical obstacles such as clutter or travel distance, and so forth). A Self-inflicted Constraint – A company's culture, rules, or policies can have a detrimental effect on results (e.g., lack of accountability, not hiring older people; sticking with the "sacred cows" of work practices). A Personal Constraint – Personal traits of an owner or manager can hinder performance (e.g., disorganization, procrastination, perfectionism, indecision, fear, incompetence, lack of time, or failure to face problems). Do you have any beliefs or behaviors that are holding back your business? An External/Market Constraint – Obstacles can exist that you have no control over (e.g., market size; customer attitudes; competition; the economy). You can often adapt to these external constraints over time by adjusting your business strategy. As with a medical diagnosis, the symptoms of a business problem don't always point directly to the cause of the problem. In fact, most of the time, the problem you experience is not the real constraint. Just as a cough is only a symptom of an unhealthy system within the body, the pain or frustration you feel about your business is likely the effect of a deeper problem. Some constraints (e.g., physical) are more apparent than other constraints (e.g., logical). 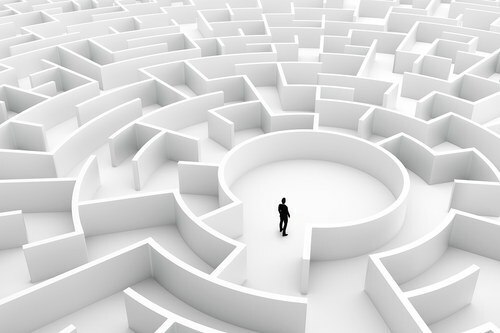 Consider this: While there can be a variety of problems within a business system, only one step of the process at a time is the constraint on the entire system—the weak link and true cause of restricted output. You can only improve the results or output of that system by eliminating the weak link or elevating its performance. Time, effort and money spent to strengthen the other links in the chain—the other steps in the process—will not improve the system output. The weak link governs the performance of the whole system! Once you have strengthened or elevated the weak link, another link or step in the process becomes the weakest and may deserve your attention. Thus, by always focusing efforts on the weakest part of the system, you get the maximum benefit from your business improvement efforts. Because only a few core systems or processes drive your business results—and each has just one constraint at a time—you can now focus your energy on the few problems that really matter the most. Make the necessary improvements and then tackle a new constraint. Watch your business take off! The Theory of Constraints assumes that a system has a single productivity goal. The challenge is to increase the output, or "throughput" of the system by managing the constraint that blocks your ability to reach that goal. For example, the throughput of a marketing and sales process is measured by the dollar-value of orders written. The throughput of a production system is the dollar-value of products shipped. For a business as a whole, the measurement of throughput is the final cash collected from the sale of its products or services. Many company owners mistakenly think they need to optimize all of their business systems and processes (logic constraint). They often measure individual processes and reward performance independent of overall business results. Surprisingly, the improvements of quality or efficiency, as important as they are, do not always lead to a corresponding improvement in total throughput. In fact, an optimized system or process can create a negative effect on the next system in a line by overwhelming it with too many inputs. Improving any but the weakest step within a process creates excess output that piles up in front of the weak step, often called a bottleneck. Bad things happen when work piles up, when you overfeed a process. Don't create any more inventory or work-in-process than is necessary to maximize throughput! Remember: The key is not just to eliminate the bottleneck-step of a particular system, but to elevate any complete system or business activity that constrains the throughput of the entire business. All of your core business systems and processes must work in synchronization to achieve the optimum result. While efficiency and cost cutting are important, the best measurement of real improvement is increased throughput—revenue and profit. In my experience with small businesses, insufficient sales are usually the major constraint on the throughput of the business. No matter how efficient the operation, without a steady flow of sales into the pipeline, the output is always disappointing. By the way, your cost of goods plus overhead expenses create a monthly sales break-even point for your business. Throughput should cover those costs as early in the month as possible. You only make a profit on orders shipped after you reach the break-even point! Kid's Korner manufactures and distributes a unique line of children's furniture and accessories through five retail stores located in shopping malls. Owners want to double annual sales from three to six million dollars without the cost of adding more stores. They also want to preserve the margin in their product by staying in the retail market. They decide to put their available resources into Internet marketing. The first constraint the owners face is that not enough people visit their sorry website. They hire a person skilled at search engine optimization (SEO) and Google Ads to improve online traffic. With more people coming to the site, their constraint is now the low percentage of visitors who become paying customers. The owners hire a professional copywriter to improve their message and add an irresistible offer of free shipping. To their surprise and excitement, product sales start to take off! Sales throughput, however, does not increase as expected. They soon discover the next constraint, their inability to fulfill all the orders on a timely basis. The company adds another person to their bottleneck shipping department, and the problem is solved; sales throughput goes up. The results from the website continue to exceed the owner's expectations, but now they can't keep all of their products in stock—a new constraint to overcome. For example, they have a line of lamps that come in twelve different styles. Production is hampered because they must break down and set up the production line for each style. A review of sales data shows that four lamp models account for 75% of their lamp revenue (see 80-20 Rule). They make a difficult decision to trim the models to four. A miracle occurs! While they lose a few sales, production is much more efficient and the throughput on lamps dramatically increases—overall business throughput also jumps. Lamp production has improved enough that sales again become the constraint for this item. The owners decide to take advantage of the productivity and warehouse the excess inventory. This proves to be a costly decision. It ties up needed cash. Demand drops drastically on one of the stocked lamps, and a production flaw, not caught during the inventory buildup, causes a significant amount of rejects and waste. The owners revise their strategy and begin to pace lamp production with sales—no inventory buildup of potentially obsolete items, no cash sitting on shelves, no hidden production flaws. They discover that more profit is made when sales and production flow through an evenly paced business system. By applying the Theory of Constraints, the owners of Kid's Korner focused on the critical systems and processes that would increase throughput and help them reach their six-million-dollar goal. While you may have a different business model, these TOC principles also pertain to your company. Now, go find the constraints—weak links, bottlenecks, obstacles—that are hindering the throughput of your business! With some people (like owners and managers), everything seems to be urgent, pressing, dire, critical, serious, or top-priority. With others—employees who are laid-back, casual, carefree, lackadaisical, or even unconcerned—nothing is urgent. 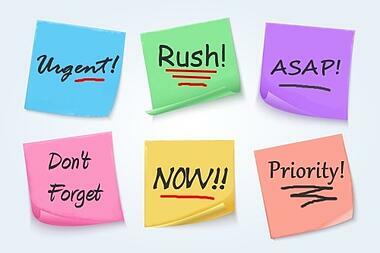 In business, a general sense of urgency is a good thing, but it usually doesn’t happen automatically. My mother recently fell and broke her pelvic bone. She recovered in a rehab facility. Never-ending patient demands at the care center kept staff on-the-run all day long. Urgency, and the resulting productivity, is built into the culture. The business owner just smiles as he watches people scurry around getting their work done. You may not be so lucky. Most owners and managers have to be more creative to infuse their company culture with a sense of urgency. If done successfully, however, the payoff includes motivated employees, happy customers, lower costs, and increased profit. When I was a young man going to college, I worked for a company that had a “hot product.” We were three weeks behind in production and shipping. Customers were constantly calling to have us trace their order, thinking it must be lost. A picture hung on the wall with a chimpanzee dressed as a shipping clerk. To a customer over the telephone, the chimp declared, “Trace it! We haven’t even shipped it yet.” That was our story. Urgency that comes from “putting out fires” is not good. It is the result of poor planning and execution of business operations. This kind of urgency is very stressful and a real downer for everyone. However, when the energy is properly harnessed, urgency can elevate business performance and produce amazing results (motivated employees, happy customers, lower costs, and increased profit). Simply put, urgency will increase productivity and accelerate the sale of goods and services. Employees are motivated by a sense of accomplishment (and sometimes incentive pay). Customers love to receive products fast. Higher sales-throughput enables a company to reach its break-even point earlier in the month, and that sends profits soaring. Everyone wins! Before you try to introduce urgency into your business operation, keep in mind there is a RIGHT WAY and a WRONG WAY to go about it. Don’t set goals to motivate people that are unrealistic. Goals that are too hard to reach kill motivation and cause resentment (especially when there is a financial incentive involved). Don’t skip steps in a proven business process. Skipping steps such as a preparation step or a quality-control step for the sake of urgency will create problems that nullify any gains. Don’t turn up the speed on the conveyor belt. People can only work so fast and still maintain quality. Efficiency is better achieved by eliminating speed bumps and system busters than by pushing people beyond a reasonable work pace. Let customer expectations drive the urgency. Tell customers you have next-day shipping or one-week lead time, or a specified completion date. Employees will do what it takes to fulfill the company promise. Set daily, weekly and/or monthly goals. Speed and urgency naturally increase as people get closer to a deadline. For example, employee productivity accelerates to meet a shipping goal by the end of the week (e.g., number of boxes, orders, or dollars). It is a good idea to post results and hold people accountable for achieving the stated goal. Create financial or other incentives. Self-interest is highly motivating for most people. A good incentive system—financial or otherwise—will lift employees, speed processes, and drive down unit costs. Declare an emergency. This infusion of urgency can only be used once in a while and should be substantially true (e.g., you may lose an order). Proclaiming an “emergency” too often is an indication of weak management. 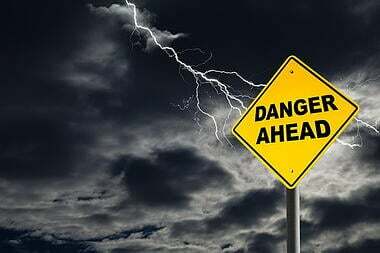 Declaring emergencies that are not real is like the boy who cried, “Wolf.” The plea for help will eventually be ignored. Keep in mind: a high-level of urgency cannot be sustained. People have peaks and valleys of energy and productivity. They can’t stay in top-form all day, every day. You have to accept that. However, you can have higher and longer-lasting peaks and shorter-shallower valleys by adding one or more of the urgency triggers described above. 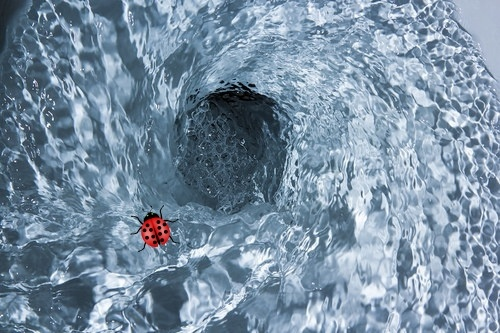 Infuse the power of urgency into the weakest of your core processes for selling and delivering products and/or services. Watch as surrounding workers and processes catch the fever. Keep an eye out for the physical bottlenecks that may be holding people back, and elevate those constraints. Oh, and one more thing: kick your business into high gear with Box Theory™ products. We can't learn too much about our customers—who they are, where they hang out, how they think, and what they want. Most of us don't have enough customers and would like to get more. Stating the obvious: Happy customers translate to more sales. Increased sales enable your business to hit the break-even point earlier in the month. After reaching the sales break-even point, profit margins go up dramatically. With more profit, everything gets better, and you have a prosperous enterprise. Are your customers as happy as they could be? 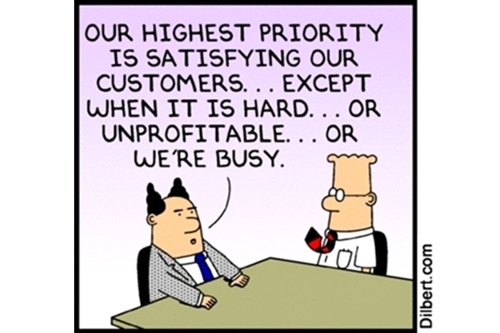 Do you have "killer customer care?" Customers all want the same thing—the best deal they can get on desired products and services. They want high-quality. They want it fast or on time. They want it at a good price. And they want a pleasurable buying experience. Keep in mind, the informative statements you are about to read won't help your business one bit unless you incorporate them into a business system or process. There is no other way! Review the slideshow. Make notes. Then, go apply some of these profound principles to elevate your customer-service systems today. The essential task of every business owner or entrepreneur is to overcome daily problems, obstacles and challenges in the quest to serve customers better and make a profit. I want to discuss some of the specific challenges faced by small-business owners, and then drill down to the underlying causes of those problems. This will also lay a foundation for understanding the solutions offered by the Box Theory™ methodology. The Small Business Administration reports that over 500,000 businesses are born every year and about the same number die. Of startups, 33% are no longer in business after two years, and 50% are gone by four years. (SBA Frequently Asked Questions). The Box Theory™ Way can prevent you from becoming one of these dismal statistics, behind which are broken dreams and financial devastation. As entrepreneurs, we all start with a similar vision. We want to be independent and earn more income than we might earn by working for others. We have an idea, talent or product we hope the marketplace will demand. Sometimes we borrow money from family, mortgage the house, or risk everything to “live the dream.” Then, like every other entrepreneur, we discover that owning a business requires all the intelligence, discipline and hard work we can muster. To start, grow and sustain a successful company is likely to be the most difficult thing we ever attempt. From day one, unrelenting forces begin to work against us. We face slumping economies, cost increases from vendors, customers who pay slow or not at all, government regulations, increasing taxes, unproductive employees, stiff competition, insufficient sales, obsolete inventory, cash flow headaches, never-ending demand for new and better products, and many other challenges. If you haven't had some of these brutal experiences yet, it's only a matter of time. They will come with changing market conditions, government leadership, and business cycles. So be prepared. I believe it takes as much skill to be a business owner as it does to be a medical doctor. The difference is this: Doctors prepare for ten to twelve years before starting their medical practice. Most entrepreneurs learn on the fly, resulting in critical errors and frequent casualties. The requirements of continuous learning, self-discipline and long hours are no less for a budding entrepreneur than they are for a doctor. Are you willing to pay that kind of price? A business enterprise is made up of people, products and processes organized to profitably find and keep customers. Companies are in trouble from the get-go when they face superior competition, low market demand, under-capitalization, difficulty reaching their target market, undifferentiated strategy, ineffective management, or a weak revenue model. Assuming those things are in order, the most likely reason for failure is that owners do not create business systems and processes that effectively carry out the mission, strategy and goals of their organization. As an entrepreneur, your primary purpose is not to sell, make products or provide a service, but to be the chief architect of your entire business enterprise. On a typical day, you design, develop, oversee, monitor and evaluate the systems and processes that make your organization run efficiently, create value for customers, and produce a healthy profit. If you want to be an artist, machine operator, sales agent or technician, you should get a steady nine-to-five job. Building a business is a different vocation altogether. If you don't have the personality, skill-set, or desire to do this, you should get a partner or hire someone who does. Your primary role as a business owner is to get the best people you can on the team, create innovative products for your target market, and develop operational excellence (systems and processes) that will attract and keep customers. When you can do this profitably, you will have the foundation for a lasting company. Customers buy from companies that serve them best. Without concern, they allow all others to fail. It is how the customer feels about your business as a whole that matters most. Everything about your operation—advertising, cleanliness, courtesy and knowledge of employees, return merchandise policy, product selection, location, delivery time, price, and so forth—is what they are choosing. As chief architect, your entire business is your product, and it must be exceptional throughout. When it is, YOU become the “best deal!” Creating effective business systems and processes will make your organization exceptional, and keep your customers coming back again and again! Let's dig a little deeper. Do you run a perfect business? If not, what problems would you like to eliminate? What parts of your organization need to improve? What obstacles must you overcome? What is eating away at your profit or preventing you for reaching your full potential? You will experience frustration when there are recurring events over which you feel little or no control—problems that can often be eliminated by installing an effective system. How many of the business problems, obstacles or frustrations below do you have? * Our customers complain about quality or timely delivery. * Our customer service is not as good as it could be. * We don’t have customer loyalty or get the re-orders we expect. * Our competitors are taking business from us. * Orders are processed incorrectly; too many returns. * We can’t seem to hire or keep good people. * Our people aren’t productive or motivated. 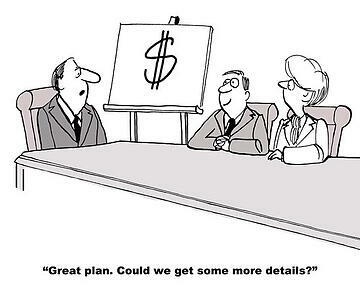 * We don’t have accurate or timely financial information. * We don’t know our true costs. * Profit is lower than it should be. * Accounts receivable collections are too slow. * The company has missed filing deadlines or tax deposits. * Cash flow is poor, hard to manage, and stressful. * Labor costs are high. * We don't have enough working capital for needed people, equipment or inventory. * We don’t have enough sales. * Our advertising isn't working. * The business is unorganized and chaotic. * I'm the only one who can do some of the work. * There is too much waste and inefficiency. Every day, these and other frustrating business problems take hard-earned money out of your pocket. Amazingly, they all reflect the same underlying problem—a problem that you can easily fix! Each business is unique and at a different stage of development, with different goals. However, every business owner is either trying to start, grow, fix, or replicate their business. Effective business systems and processes play a major role in each of these endeavors. Box Theory™ methodology and software can also help you in the following ways. When you start a new business, you build everything from the ground up. You create and organize all your business systems and processes to produce sales, deliver products and services, and accomplish your mission, strategy and goals. The Box Theory™ Way is a unique "system" to help you lay that critical foundation and get results that will impress customers right from the start. If your company is growing, you face hazards of a different kind. Many organizations fail because they grow too fast. The primary problem is that existing systems and processes cannot meet the increasing demands. They begin to break down. Customers become unhappy. Cash flow dries up. Frustration begins to dominate daily life. An organization experiencing rapid growth can be at risk of collapse unless it re-orders itself to a higher level of performance. Box Theory™ enables you to elevate your systems and processes to accommodate the otherwise exciting increase in demand for your products or services. The majority of business organizations have a great deal of hidden waste, most of which can be prevented. Half-baked business systems and processes rob business owners and stakeholders of thousands of dollars every year. Box Theory™ methods enable managers to fix broken or ineffective business systems, getting them to run smoothly and profitably. Finally, if you have any ideas about franchising your business or replicating it in other markets, the most important thing you can do is systemize it like a McDonald's Restaurant. When you buy a franchise, you are primarily buying tested and proven business systems. Systemizing is the essential requirement to replicate any organization. Box Theory™ software will enable you to create a business model that can be used repeatedly to multiply your financial opportunities. By now, I hope my point is crystal clear. Business owners frequently fail because they do not create effective systems and processes that profitably find and keep customers. Additionally, most do not realize the underlying waste of time and materials that seriously erode profit and prevent them from meeting the high expectations of their customers. By understanding that effective business processes are the essential building blocks of a successful and profitable organization, you can now embark upon a journey of systematic improvement. Systems Thinking is a concept that will change the way you run your business. Effective business systems are the logical and practical solutions to your daily problems, and they are just waiting to be discovered! I'm a bit of an introvert. While I love teaching, I don't like giving business presentations. How about you? "Every day, employees of various companies around the world find themselves in career-defining speaking situations. Presentations like these often involve high stakes and are presented to busy people with the power to influence careers. 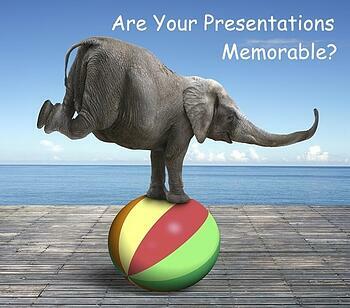 "Business presentations can make or break your career. The technical briefing, a straightforward presentation to inform, can cause trouble if you lose your audience. For the proposal, you must advocate an idea, product or course of action, and convince others to agree. You may have to present complicated material to a nontechnical audience." I've given presentations in my career where everything was on the line. After a sleepless night, and with tennis-ball mouth, I stood before an audience of skeptcal judges. Quietly, I prayed that the technology would work properly, I wouldn't say anything stupid, and the outcome would be favorable. But as they say, "some days you get the bear, and some days the bear gets you." Like everything else, a business presentation is a "system." The success of the presentation relies heavily on following correct principles for preparation and delivery. 10 lessons from the world's most captivating presenters. How to give presentations that go from yawn inspiring to awe inspiring. Tips for creating presentations that get results. How much time to spend in preparation and practice.